The Council of Europe provides a Youth Work Portfolio which is an online tool for people doing youth work around Europe. 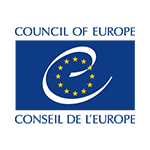 Council of Europe’s Youth Department’s website offers topical news & information about youth work and youth policy. A short presentation of the digital tools used during the seminar.